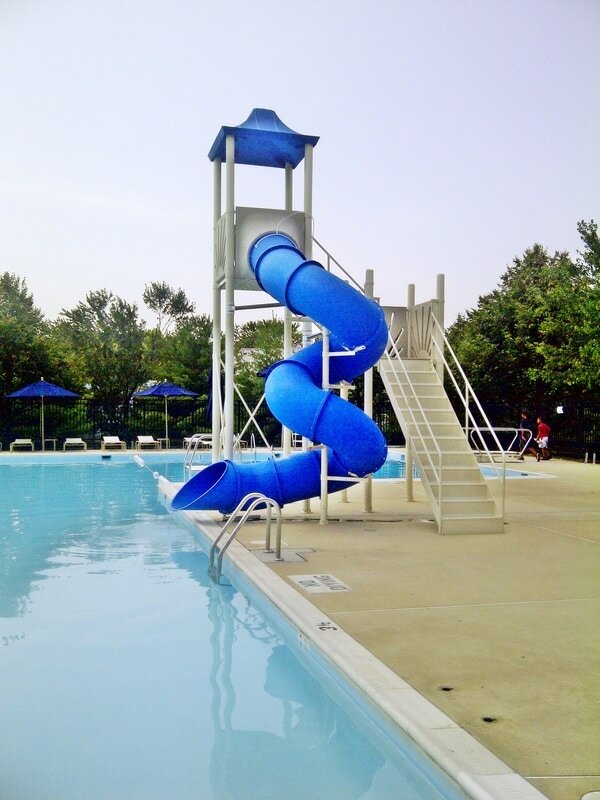 ​It is not easy to know what kind of a commercial water slide to purchase for your commercial pool. 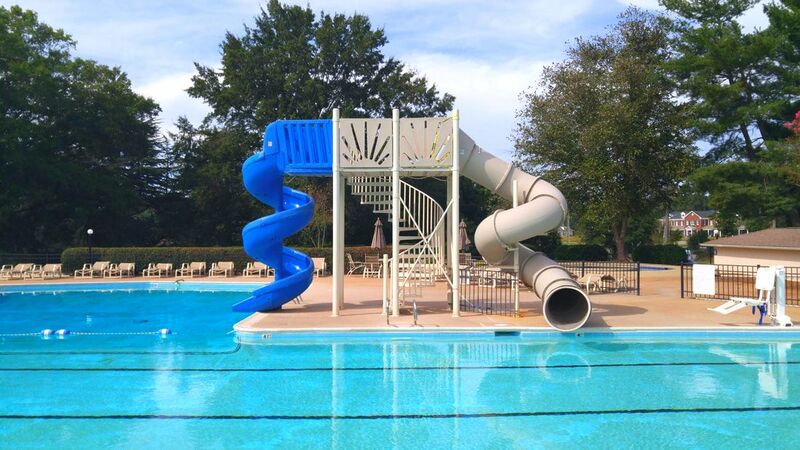 We have heard from many commercial pool operators about the challenges of finding the right commercial grade water slide for their venue. 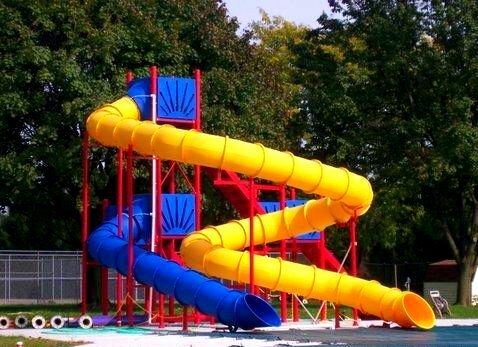 Most operators either want a new water slide or is thinking about replacing an older existing one. 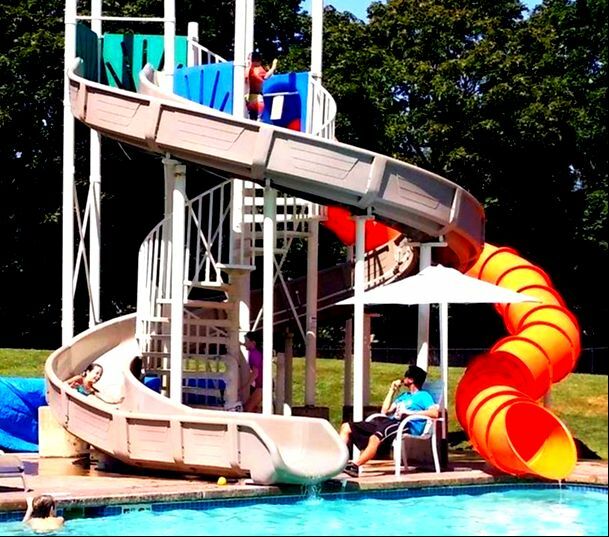 We made it easier by creating the definitive line of water slides to bring more traffic and profit to your pool. 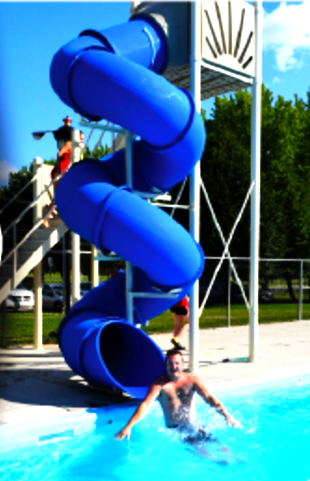 Our commercial grade water slides are stylish and provide a safe and enjoyable experience for all ages. It is about making memories and seeing all those happy faces. 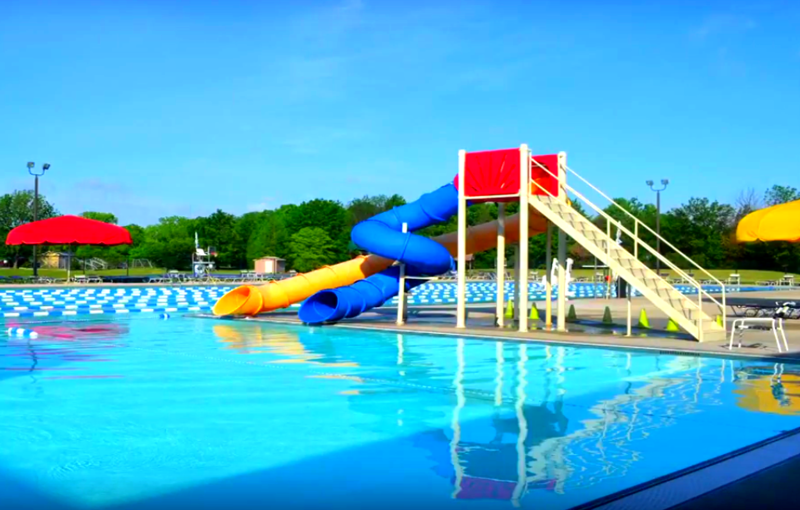 A growing number of venues want a water slide, but do not have enough real estate (or money) for one of the massive, rambling fiberglass slide structures typically found at a big water park. One of the smaller cookie cutter pool slides found on the internet may not be attractive, either. Some thing in the middle is the right answer. 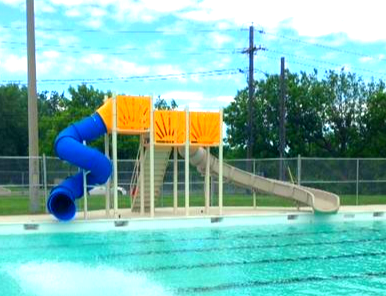 Mariner commercial water slides, in most cases, avoids the label of "amusement ride", so does not need the separate pool and expensive filtration system. 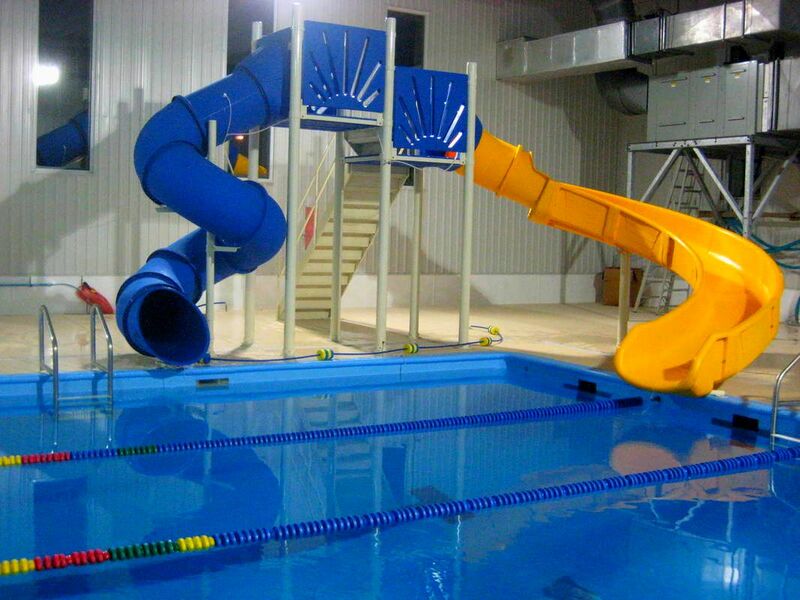 It will not need the unnecessary 10-foot long straight exit section, or terminate within 2-inches of the water surface. 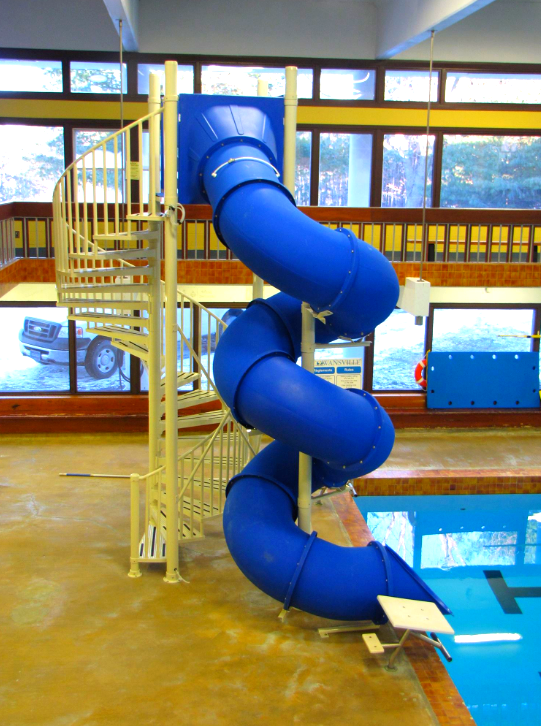 Our Mariner Water Slides are our newest offering. It is heavy-duty. Not all water slides are really made to be heavy-duty. Trust your instincts. 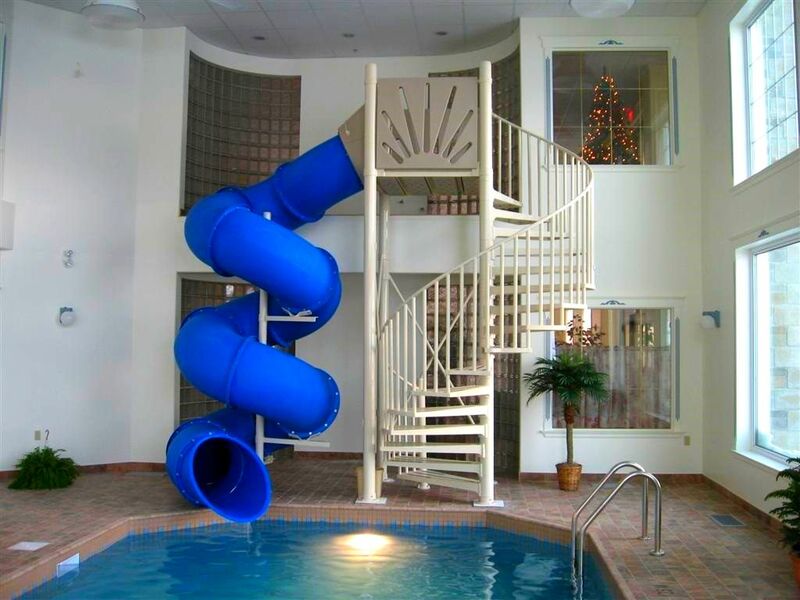 If a water slide does not look like it belongs in a commercial pool setting then it is time to look elsewhere. 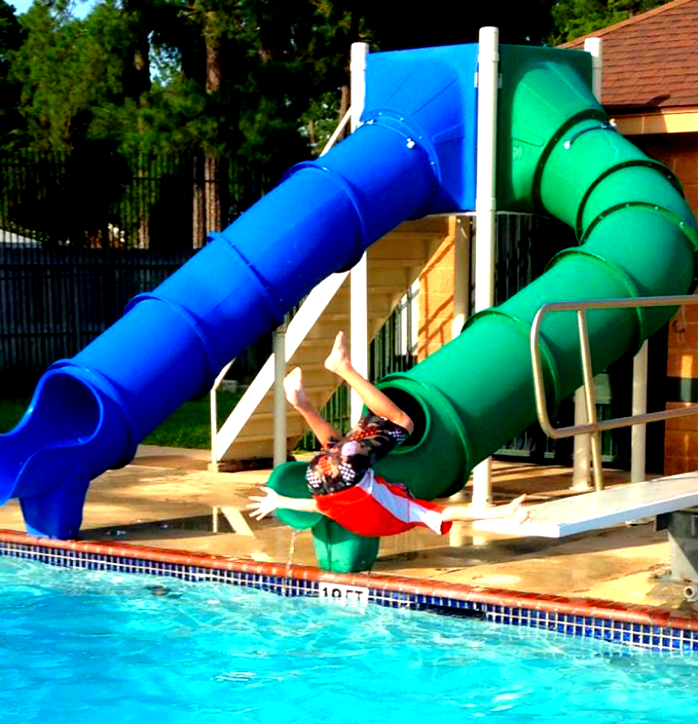 There are companies that sell pool slides that also dabble in other unrelated types of equipment. We do not. 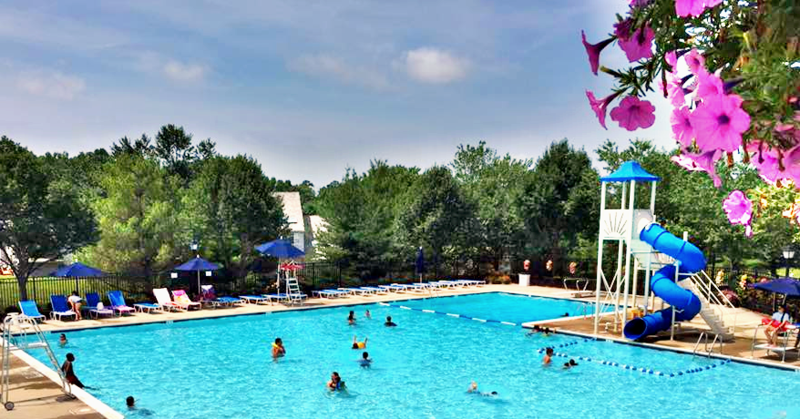 Summit USA only make commercial pool and water slides. Our slides are more resilient and durable. It will cut down the time for winterizing and getting it ready for the big opening day. 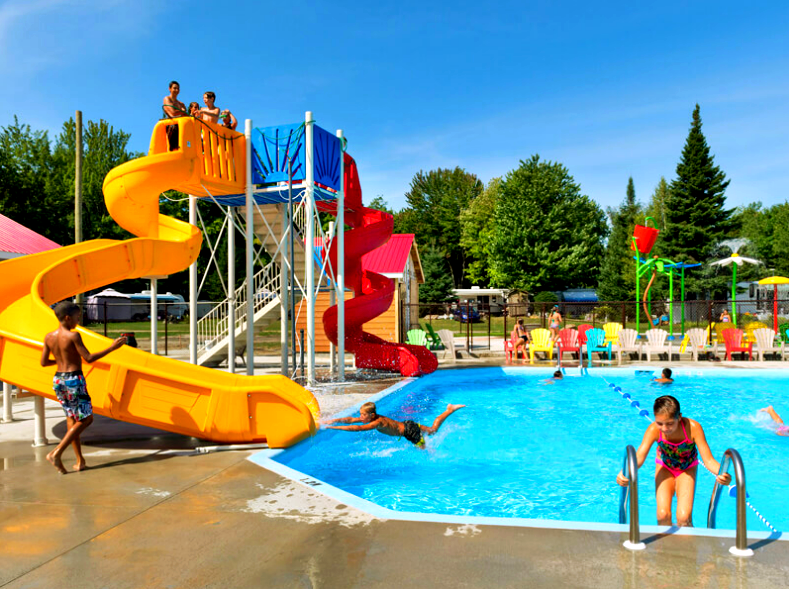 Plus, pool designers and architects often specify, their favorite bigger Mariners, onto their plans for their larger commercial pools projects. Customizable to your needs and the requirements of your user base. 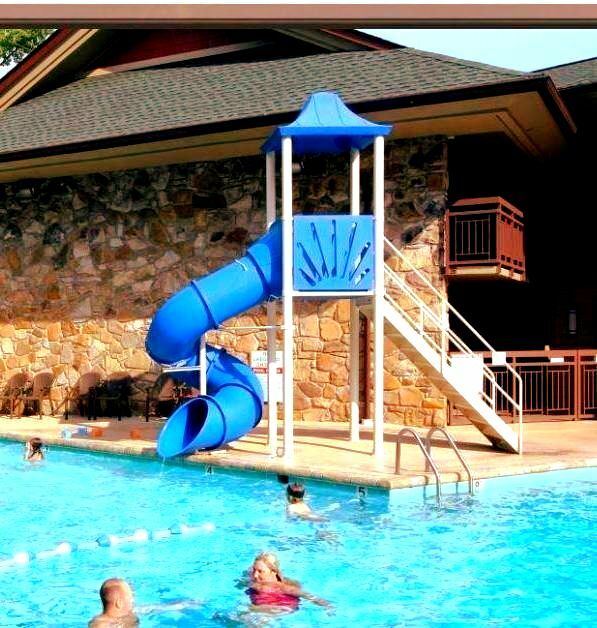 No other water slide company can make that claim for their water slides. Tight budget? Mariner is expandable horizontally and vertically. 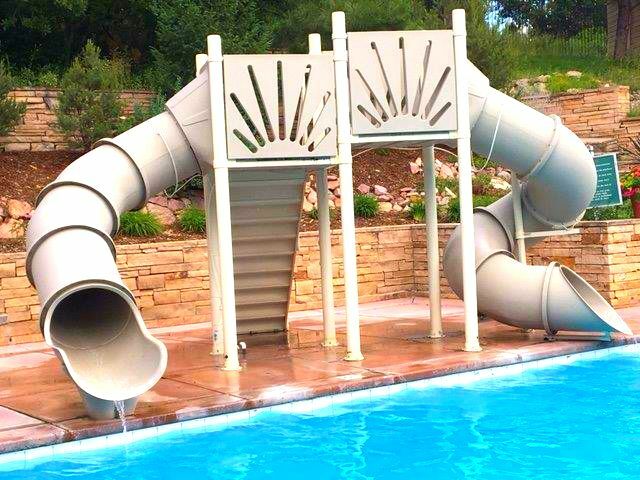 Get a simple starter water slide this year and add another one next year. Not enough. We have options like a roof covering and a lifeguard chair. 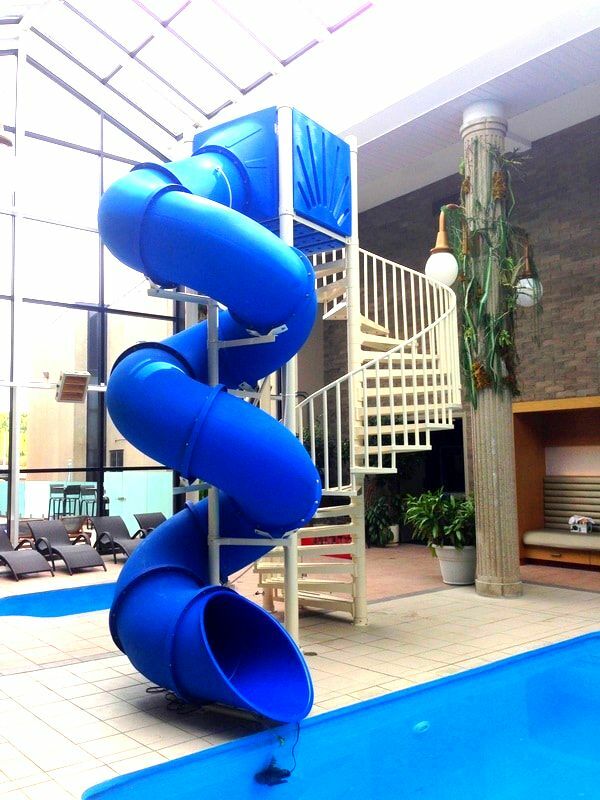 Imagine a world-class spiral stair for your commercial water slide. 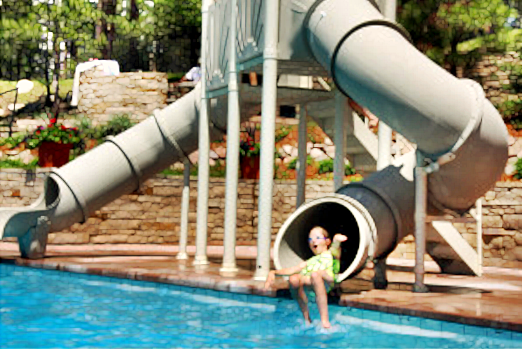 Other water slide companies will sell either enclosed tube or open style water slides. We can combine it, add a twist or two, and turn the impossible into reality. 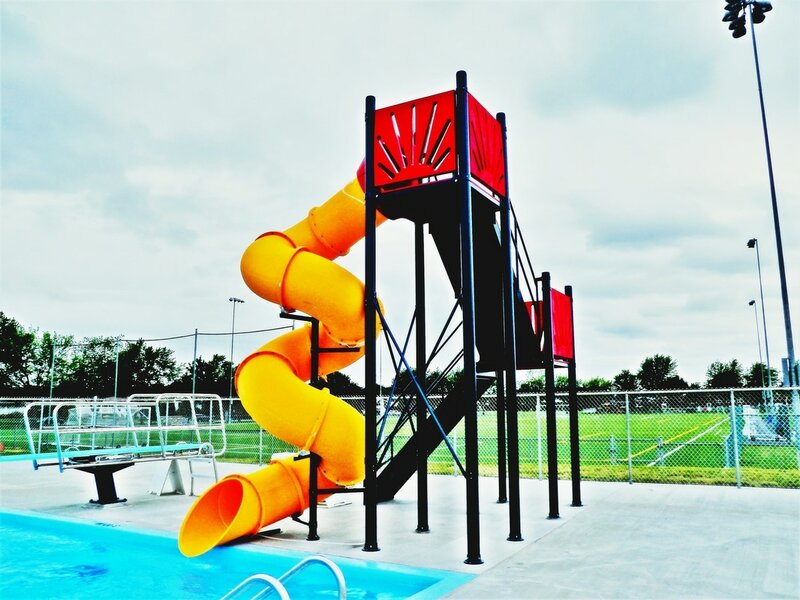 Only Mariner, offered through Summit USA's website at poolslide.com, can offer commercial pool operators the freedom to customize a small or a large water slide system. 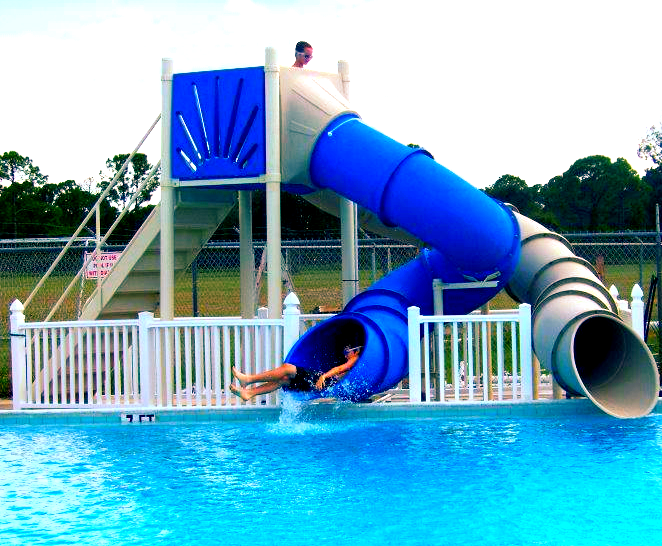 It is the most versatile water slides ever made for commercial pools. 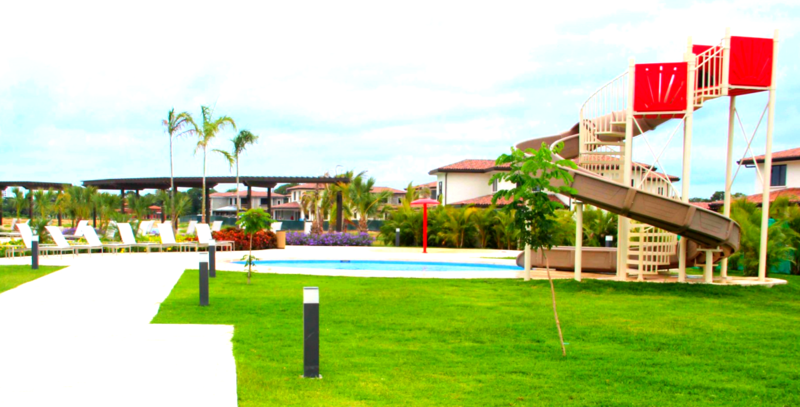 This means high profitability, increased occupancy and a competitive edge. 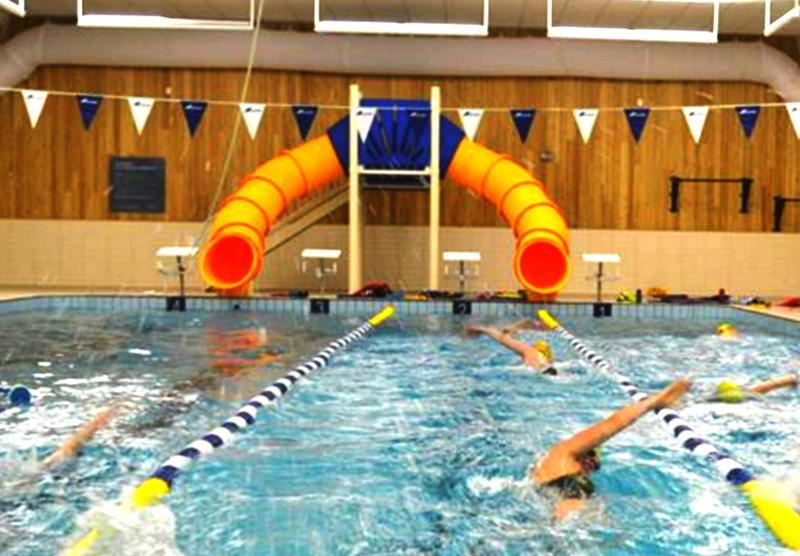 Are you upgrading your commercial swimming pool? 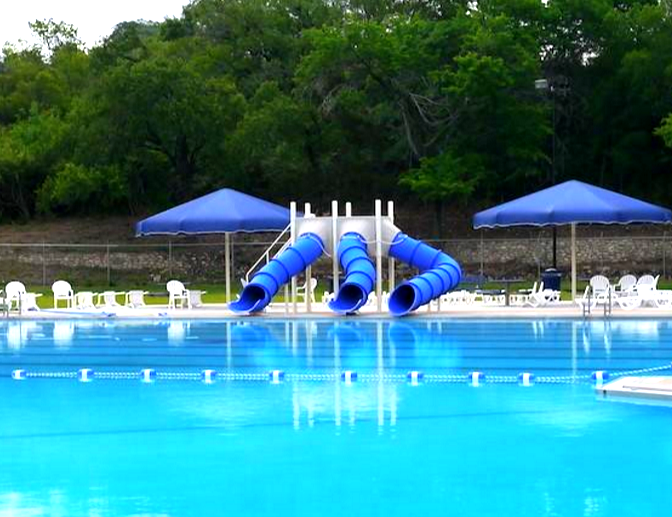 Mariner Series commercial water slides is a great amenity for any type of commercial swimming pool. 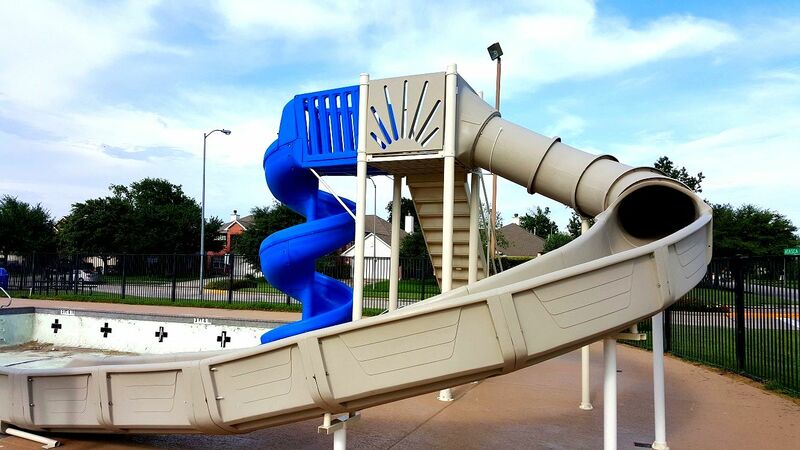 Our Mariner customizable water slides are all over the world. Perfect for commercial swimming pools at apartments, resorts, camps, swim clubs, aquatic centers, hotel/motels, MWR's, HOA's, and YMCA's. 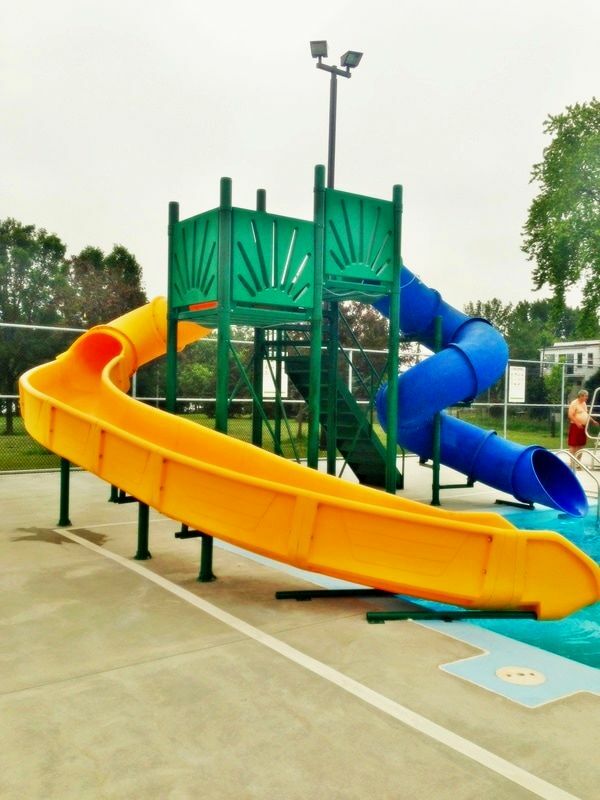 Summit USA utilizes its website at poolslide.com to offer an impressive line of commercial water slides for the busy minded operator. 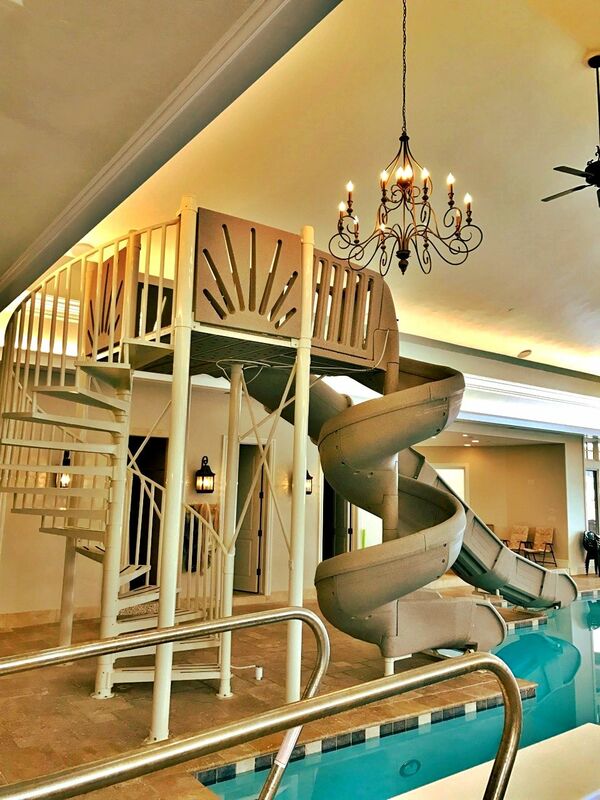 We take all the guess work out of buying a water slide. Our slides are infinitely customizable and priced less than our competitors. 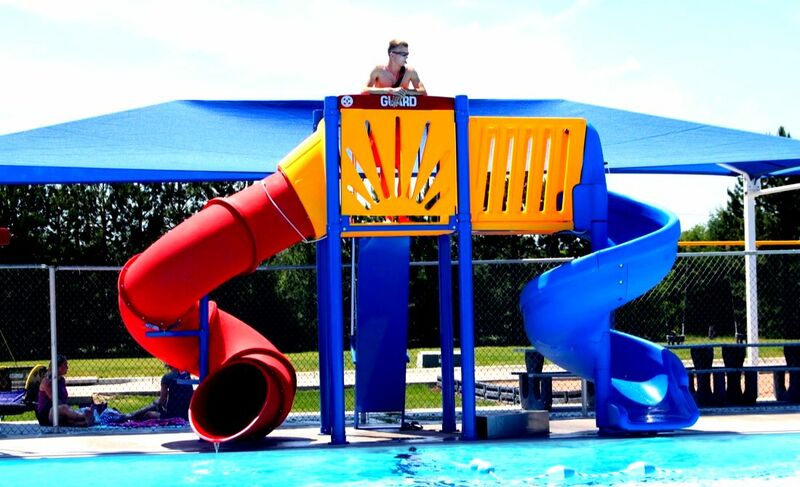 Choose from the only customizable commercial grade water slide system for your pools. 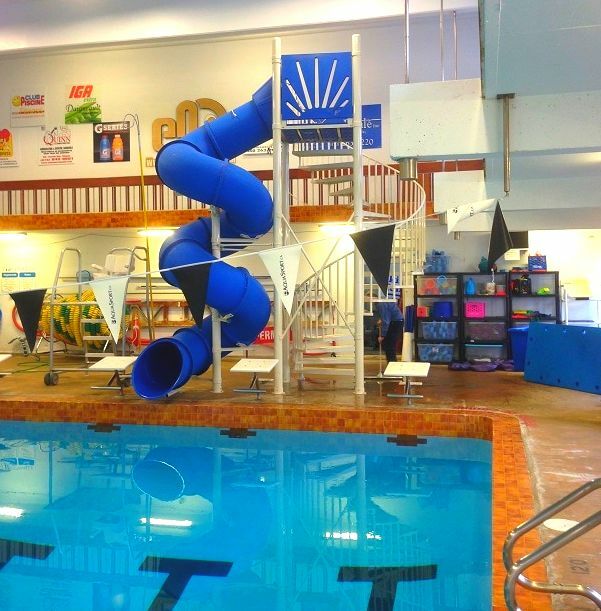 Next time, when you are in the market for a new water slide think of the customizable Mariner commercial water slides made by Summit USA.